#2 – Wednesday, Feb. 11, 7 p.m.
We also want to solicit written feedback, with a deadline of the end of February. 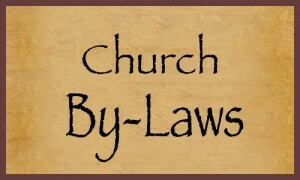 Once everyone has had a chance to comment, the Bylaws task force will reconvene and try to hash out a final set of revisions for the church to vote on. The draft is available in Google Docs format. Sometime around 2002 or 2003, I received a letter from the American Civil Liberties Union. It declared that in the wake of 9/11, vigilant protection of our citizen’s rights and liberties was urgently needed. Fully engaged in its newly declared “War on Terror,” our government was seizing ever-greater authority to monitor our communications and restrict our activities – and a frightened and anxious population appeared all too willing to consent. Would I not consider supporting one of the few voices of dissent? I still remember reading that letter and thinking to myself, “Yeah, but I better not send money to the ACLU. I don’t want to end up on some CIA watch list.” It took a moment, but as I set the letter down, a chill ran through me and the irony of my response gripped me, and I realized that the very intrusion of that thought in my mind was precisely why I had to send money to the ACLU. Even though I was still an unemployed graduate student, I picked up my checkbook and mailed a donation that very day. We all make decisions every day, and it is customary to run through the pros and cons of each option as we do so. Yet I would suggest that the familiar model of this process that most of us hold in our minds is almost certainly flawed. Perhaps you imagine a tiny set of scales, inclining now this way, now that; perhaps you draw a line down the middle of a sheet of blank paper and compose two warring lists; perhaps the more algebraically inclined among you fashion a sort of equation in your minds (“Let’s see, over here we have A + B + C; now is that greater than or less than D + E + F?”). I found myself doing something similar a few months ago during Michael Durall’s workshop. As he was speaking about the virtues of giving, and calling on church members to at least consider tithing, I thought to myself, is it worth it? Is the church worth that much to me? Given all we’ve been through, does what the church offer warrant that much investment? I knew I had my doubts; I could feel the scales tipping in the other direction. But then I stopped, and another thought came to my mind: What is the church but its membership – including me? And if the church is not “worth” my investment, does it not fall to me to help make it worthwhile? And does my giving to the church – of my time, talent, and treasure – not accomplish precisely that increase of worth? After all, a church is not a thing that produces some independently established value or benefit for whomever happens to take part in it, as if it were a mutual fund with some market-determined rate of return. Such a purely economic reckoning fails to observe the intimate and dynamic relationship between the “investor” and, at least in this case, that which is invested in. One thinker who did not fail to observe this was Aristotle. In book IX of the Nicomachean Ethics, in the middle of a lengthy discussion of friendship (which he considered of paramount importance to any reasonable conception of the good life), Aristotle pauses to consider something paradoxical: Why is it, he wonders, that we so often observe that a person who does some good deed for another feels a greater affinity toward the recipient than the recipient feels toward the doer of the good deed? One might think that, out of gratitude, things would be just the reverse, and yet it does not seem to be so. After considering and rejecting several possible explanations (e.g., the doer loves the recipient more because of a selfish concern for the other’s welfare, fearing he might come to some injury or misfortune that would prevent his repayment of the good deed), Aristotle arrives at what he considers the most satisfactory account. One who has benefitted another loves the other, he says, because she has put a part of herself in that other and can now see herself – indeed, her own best self – manifested in that other. Service breaks down the divide so that what is given is not lost but regained with interest, and we see here the best form of self-love: love of self as other, love of other as oneself. This is why a conventional cost-benefit analysis is liable to be wrong in so many areas of life – whether it is a question of investing in one’s church, or spending time with a friend, or sending a check to the ACLU, or any of a myriad of other peculiarly human decisions we must make. For in such cases the cost very often is the benefit, and the reason we think we have for not doing something turns out to be the very reason for doing it after all.